The schedule of activities for Dinagyang Festival 2016 has been moved to Dinagyang 2016 Schedule of Activities. The archipelago of the Philippines is no doubt a religious body that continuously celebrates their undying faith in every feasts day in honor of each province’s patron saint. 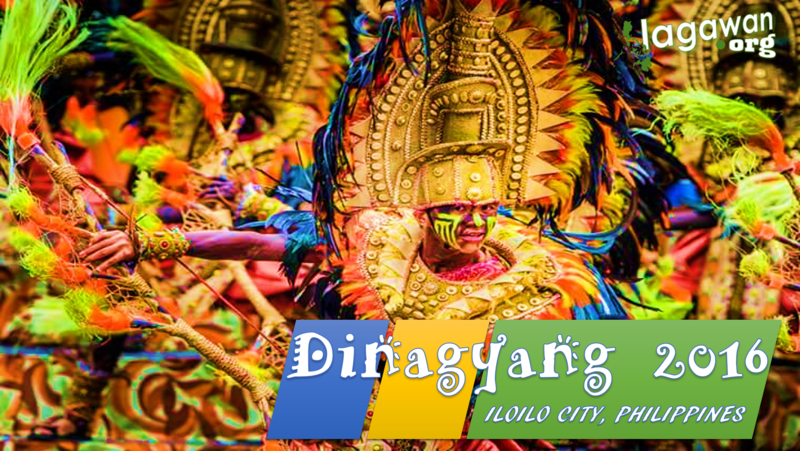 One of which most celebrated feast is the Dinagyang Festival in Iloilo City. It is held on the fourth Sunday of January of every year. Basically right after the celebration of the Sinulog festival of the Cebuanos and Ati-atihan festival celebrated in Kalibo Aklan. Dinagyang is also, like the other two very popular festivals in the Philippines, is in honor of the Child Jesus, the Sto. Nino. Dinagyang is celebrated in remembrance of the selling of the Island of Panay by the Atis to the Malay settlers. How does Dinagyang festival Started? In November 1967, Rev. Fr. Ambrozio Galindez, the current Parish Priest of the San Jose Parish at that time, had witnessed the Ati-atihan festival in Aklan and had introduced the devotion to the Sto. Nino to its parishioners. From then on the devotion to the Child Jesus has brought change to their lives. And on 1968, a replica of Cebu’s Child Jesus had been brought to Iloilo by Rev. Fr. Sulpicio Enderez. At first, Dinagyang is celebrated only as a feast in the parish. It is facilitated by the Confradia del Sto. Nino de Cebu – Iloilo Chapter. They had patterned the feast to that of the Ati-atihan festival of Aklan having dances by the Atis as to be joyous of the successful selling of the Panay Island. The dancer’s dances on the streets with their bodies covered with ashes and soot’s. In the year 1977, the government had issued an order that each province should have their individual festivals to represent their province. The parish of Iloilo agreed to have Dinagyang festival to be celebrated and represent Iloilo as their province festival. The celebration of Dinagyang festival is divided into three major activities: the At-ati Street Dancing, Kasadyahan Street Dancing and Miss Dinagyang. The contingents of the said competitions are called tribes or “tribus”. But basically these are not composed of pure and real Ati tribe members but rather they are composed of students and other organizational bodies in Iloilo that is sponsored by public or private sectors. Dagoy is the official Mascot of the festival. It was brought by the promotional banners in the year 2002. It was then later declared as the official logo of the Dinagyang Festival. Truly, the Philippines have numbers of ways to collaborate to its different sectors to provide the best and the most enjoyable festivals that is to be proud of. Dinagyang, a mixture of Philippines cultural and religious values to its best!